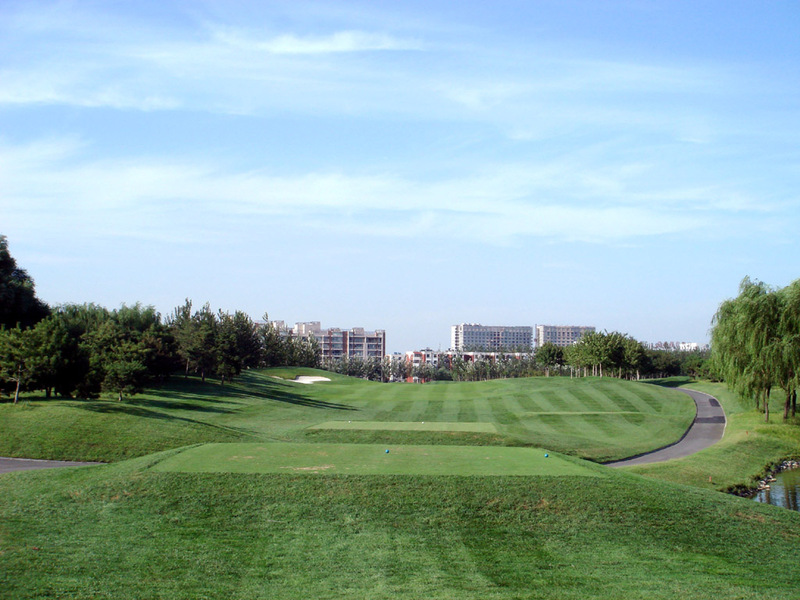 The Beijing Honghua International Golf Club is located within the city of Beijing. 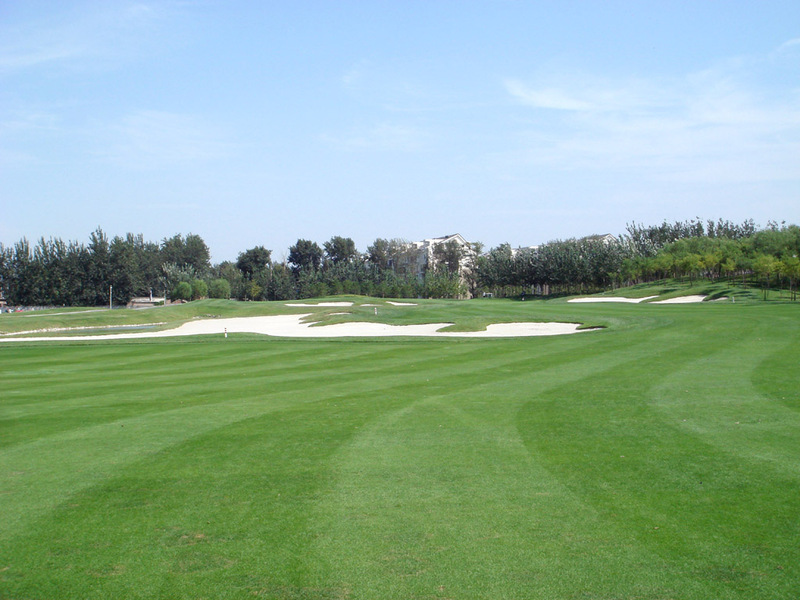 The course is very hilly and has many well-allocated bunkers and greens. 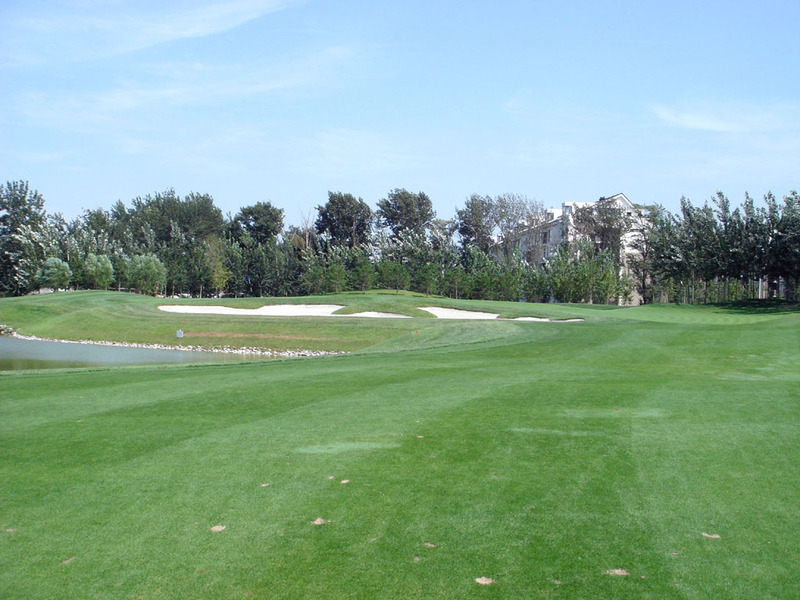 Due to the undulated fairways, some of the shots will often be required to be hit from difficult lies and locations. The greens are steeply sloped, and designed to be complicated, making putting very difficult throughout the course. In addition, the greens are wide and are surrounded by aprons (the area of grass between the green and fairway). 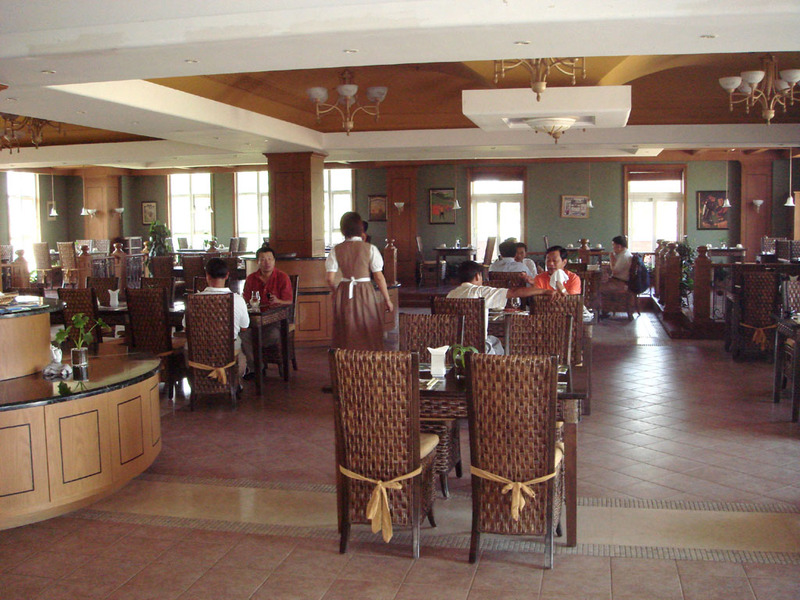 Aprons surround not only the left and right sides of the green, but also at the back. 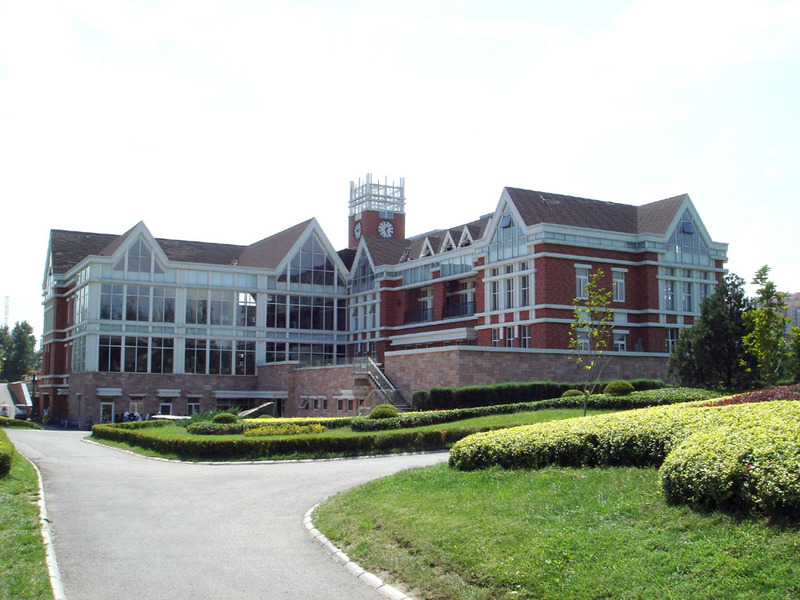 This is a well-known feature at the Beijing Honghua International GC. 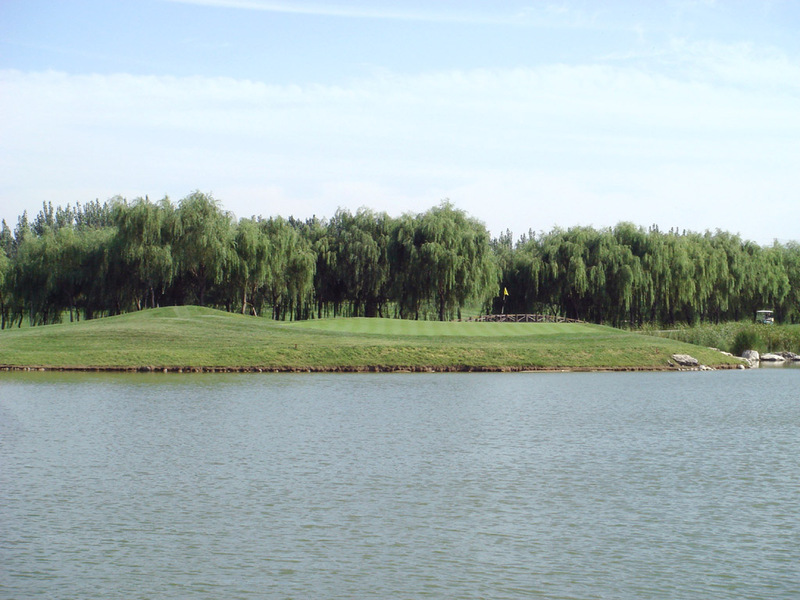 There are several poplar willow trees that are place throughout BHIGC that make the overall atmosphere of the course both strategic and beautiful. 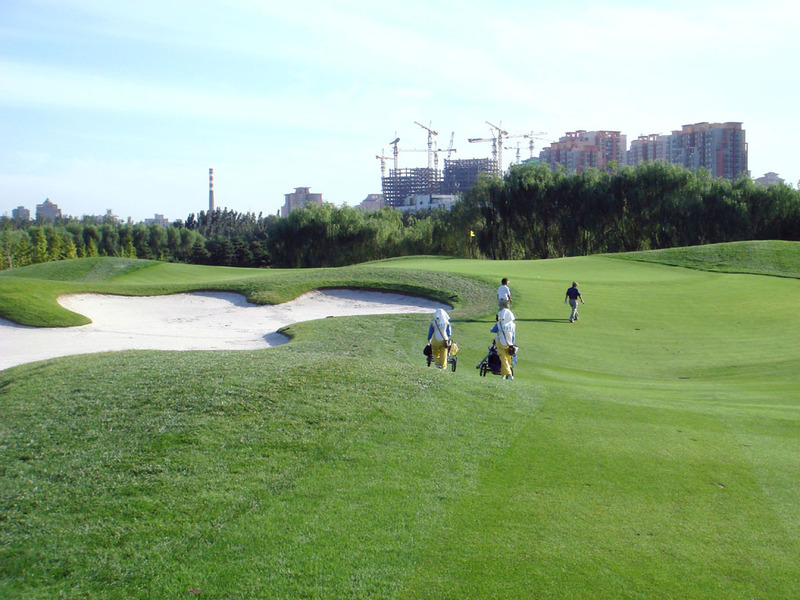 Two famous professional competitions, the Volvo China Open and the European PGA, were both held here in 2006. The second hole is a long hole that slightly doglegs first to the right, then to the left. This hole has the largest lateral water hazard that guards the green, making the second shot quite a challenge. Furthermore, there is another body of water on the left side of the green, and a bunker on its right. The green is high in the center and slops down towards the right and left sides. This hole will require the tee shot to carry a water hazard. 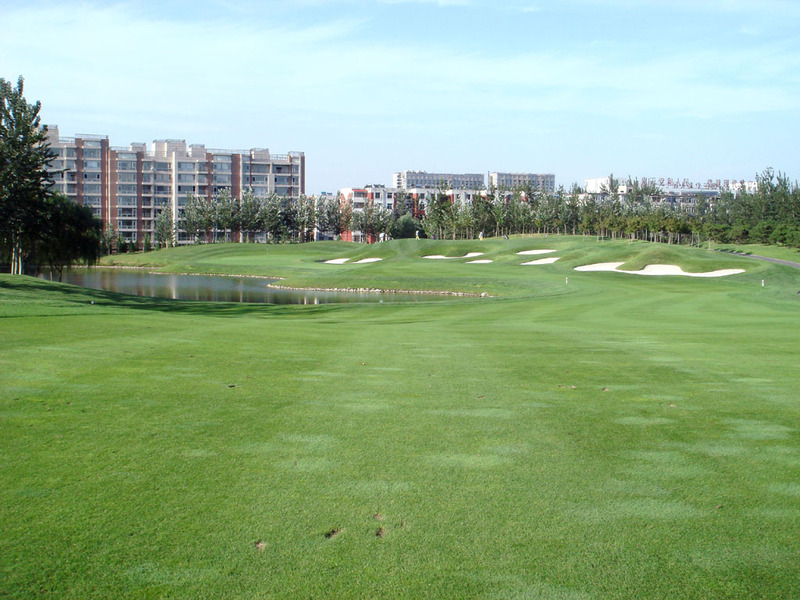 The green is quite shallow and only 20 yards deep, and is guarded by a water hazard in the front and left sides. The bail out zone is at the right side of the green, making it a challenge for the approach. Overall the design is very unforgiving, and the only friendly part is probably its short distance. A beautiful hole that consists of a dogleg that bends to the right. The right side of the fairway abuts a water hazard. There is a pot bunker in the center of the fairway that will be reached at 205 yards off the tee, but will be able to be conquered if the players hit over 225 yards. There is another water hazard that is placed in front of the green, making distance an important factor in the second shot. The green itself is vertically long and slopes from front to back. 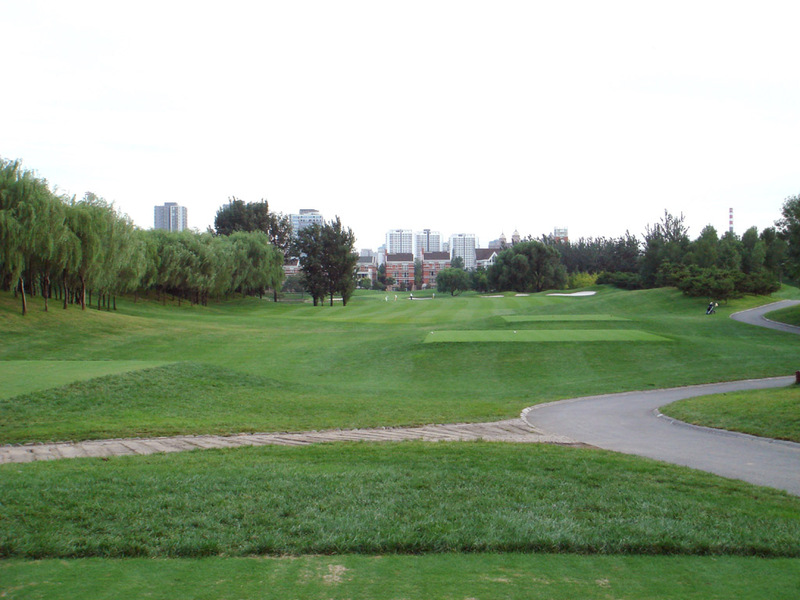 The 7th hole is a relatively straight and short par 4. 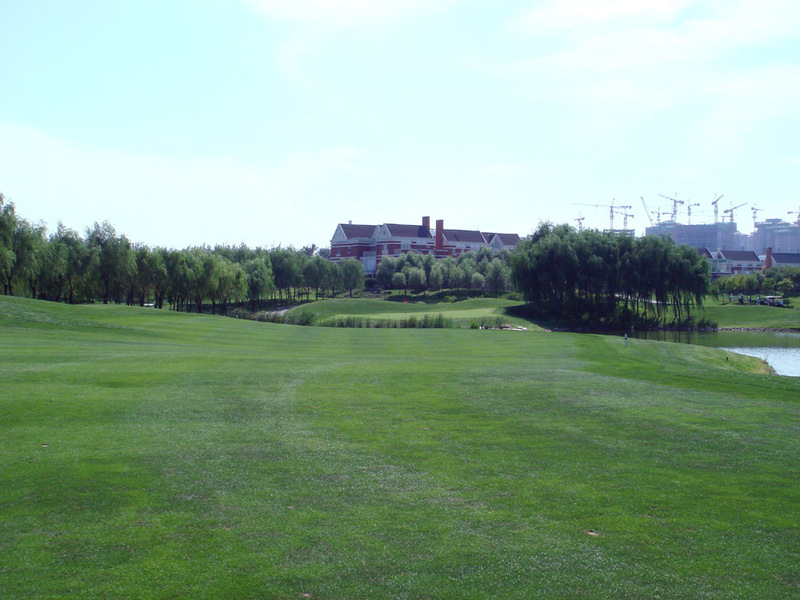 The right side of the fairway is bordered by a combination of beautifully planted willows groves and a water hazard. There is another water hazard that is placed 280 yards off the tee. A total of five bunkers split the fairway into two. If player decide to hit towards the left side of the fairway, a carry of 230 yards is required in order to avoid the bunkers. 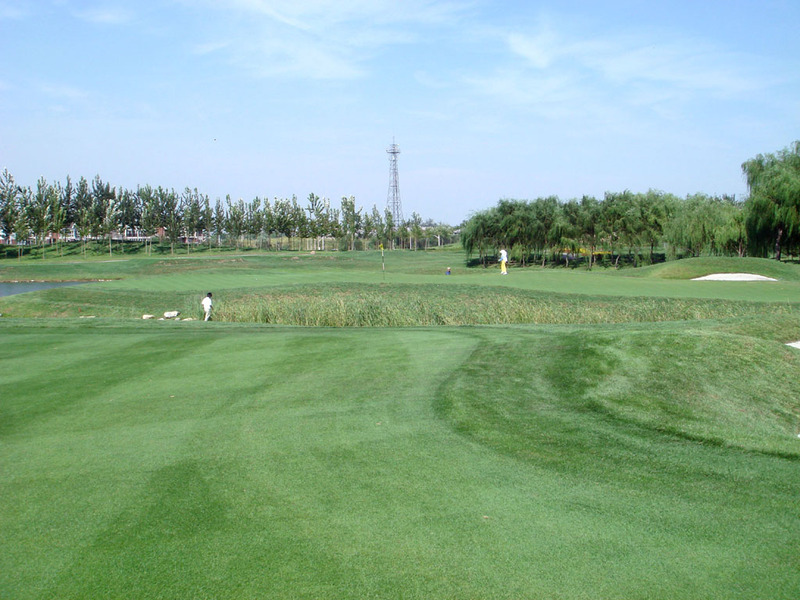 Players, on their second shot, must carry their ball over the water hazard and try their best to avoid the deep rough in the front, and two additional bunkers at the back, that guard the green. The green is horizontally long and its center is the highest with downward on both sides. The 11th hole is a long and straight hole. 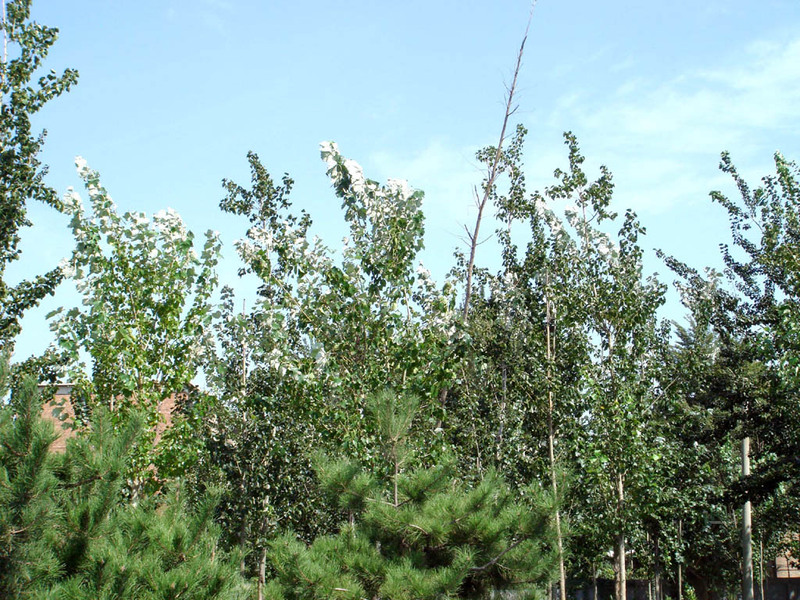 The tall poplar trees on both sides of the fairway will influence the player’s tee shot. There is a water hazard on the right, and two bunkers on the left that come into play on the second shot. The same water hazard also surrounds the front side of the green, so player must make sure to hit long enough in order to overcome the obstacle, and land their ball safely on top of the green. 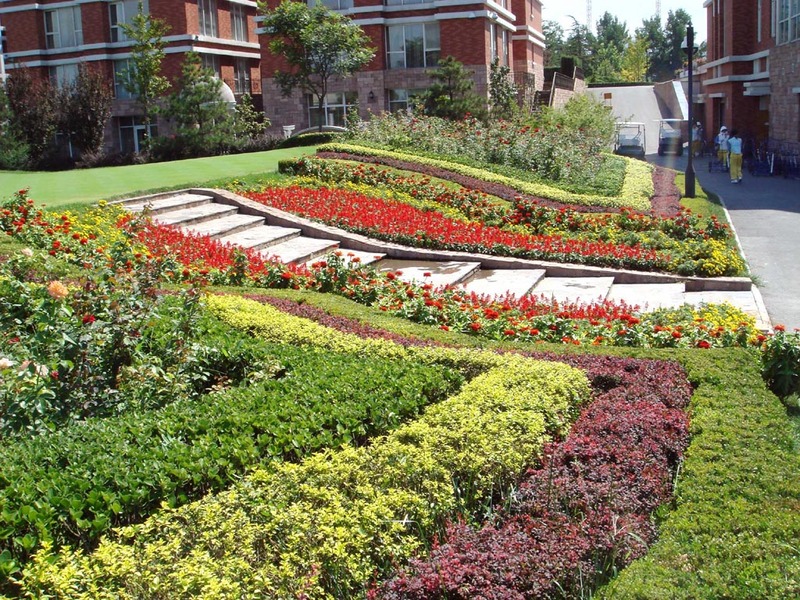 The green is wide and tall in the center, and slopes down to both ends. 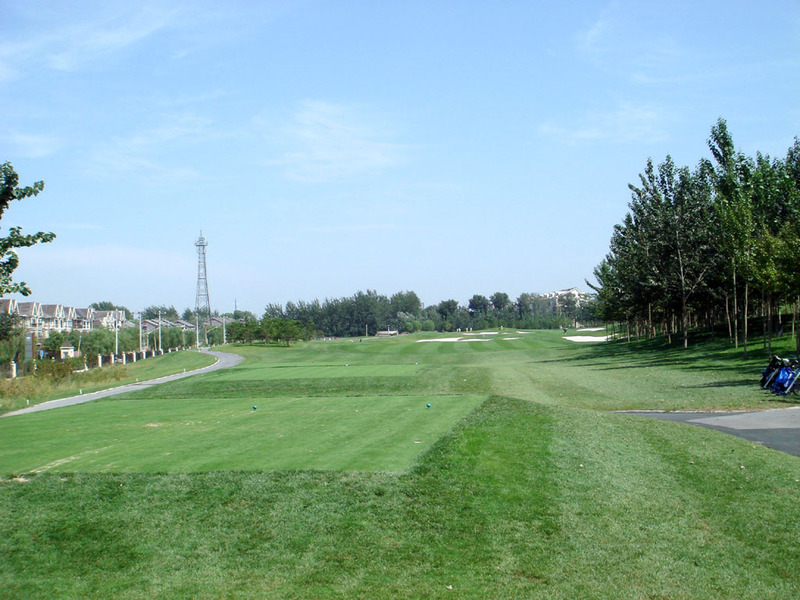 This par 4 consists of a long dogleg that bends towards the left. The tee shot will require players to hit their ball over a water hazard, and steer their ball away from corner left bunker that comes into play off the fairway. The best way to avoid this bunker is to hit over it. However, a carry of 270 yards is necessary for that, and therefore, if players are not long confident hitters, they should look for an alternative solution. There is another bunker that can be seen off the tee on the right side at about the 235-yard mark. The combination of these two bunkers will make the landing area from the tee shot look narrow. The green is wide and is well guarded by bunkers placed both in front and at the back. This 14th hole is a par 5 with a sharp dogleg to the left. 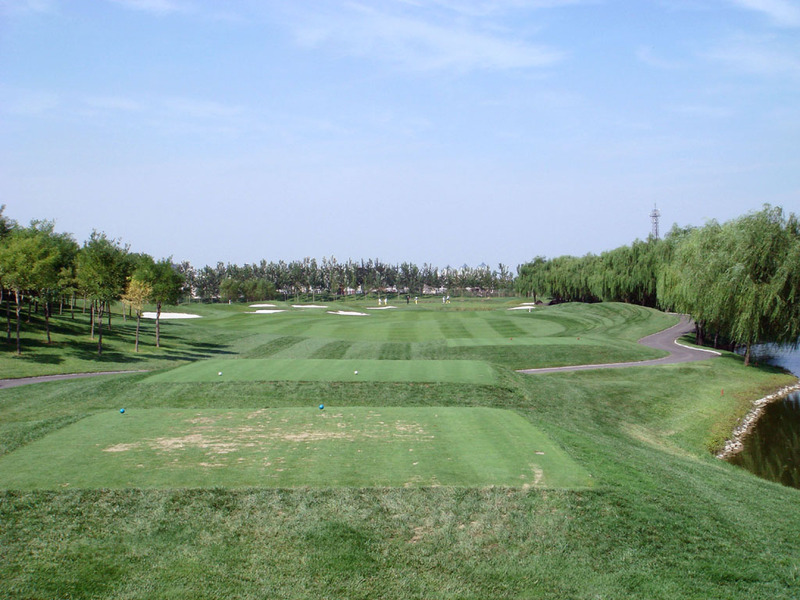 Players will need hit their tee shot straight, then will be required to hit their ball towards the left on a dogleg bend at around 130 yards from the green. Long hitters will be able to aim for this green on their second shot. 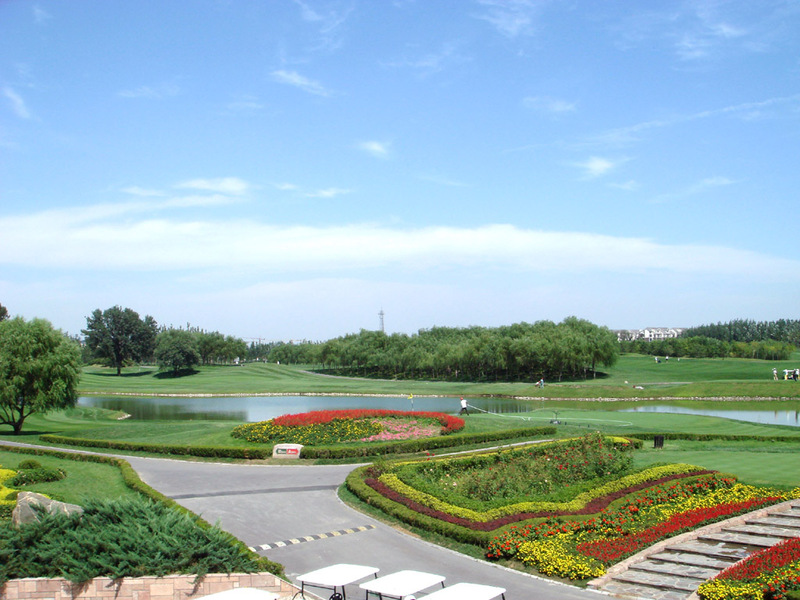 However, it is not as simple as that, as there is a pond that surrounds the front and left sides of the green, making the shot very difficult and tricky. On the other hand, if players decide to lay up, the landing area off the second will require accuracy, as it is surrounded with seven different bunkers on the right sides, and the pond on the left. The fairway also slants left toward water hazard, making this hole quite a challenge overall. 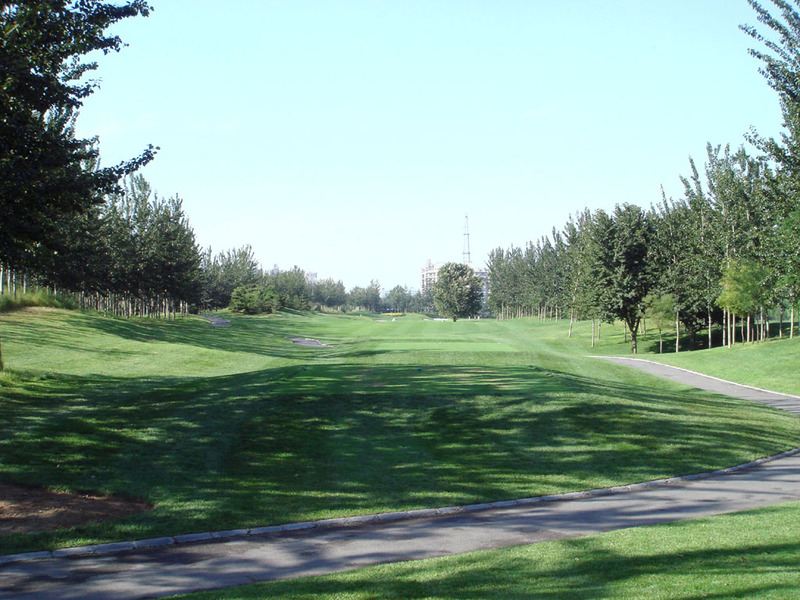 This 15th hole is a medium length par 4 that consists of a slight dogleg that bends towards the right. There is a bunker, one that is about 100 yards in length, which spreads out by the right corner. There is another bunker on the left at around 250 yards from the tee. The combination of these two bunkers will make landing area from the tee seem narrow. The fairway is largely undulated and a third large bunker comes in to play in front of the green. The green is uplifted, high in the center, and leans downward towards the back. The last hole is a long and straight par 4. 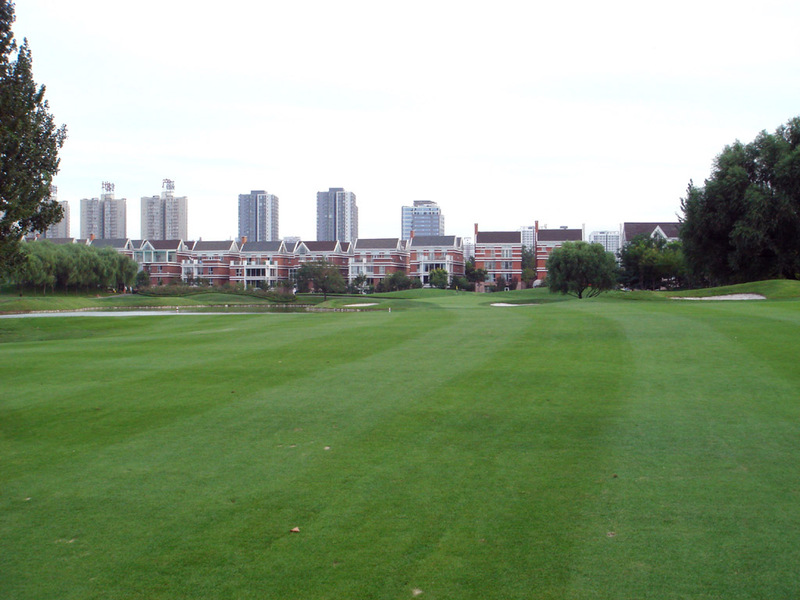 Players can hit their tee shot with confidence, as the fairway is quite wide. 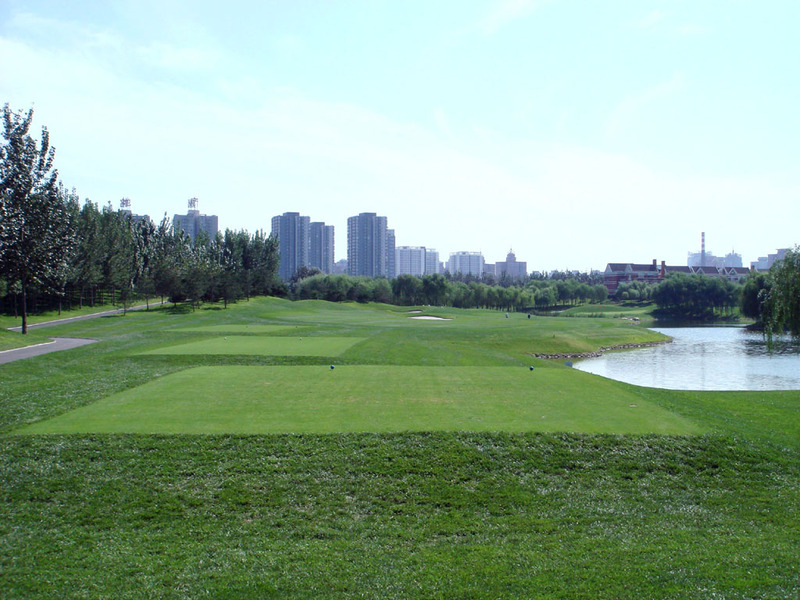 The second shot will require both distance and accuracy, as players will have to look out for a pond that guards the front and left sides of the green. However, if players aim their ball towards the right to try and avoid it, there is a bunker in the right front of the green that comes into play. It is a 30-minute drive from both Beijin center and Beigin Airport. 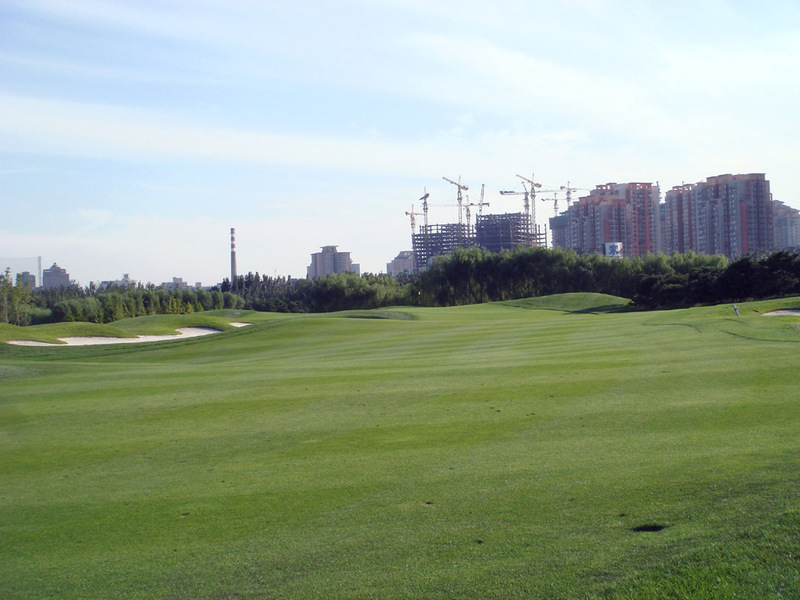 Other courses that are designed by Nick Faldo in China are Mission Hills GC (Faldo Course), Kunming Lake View GC and Dali Stone Mountain GC.